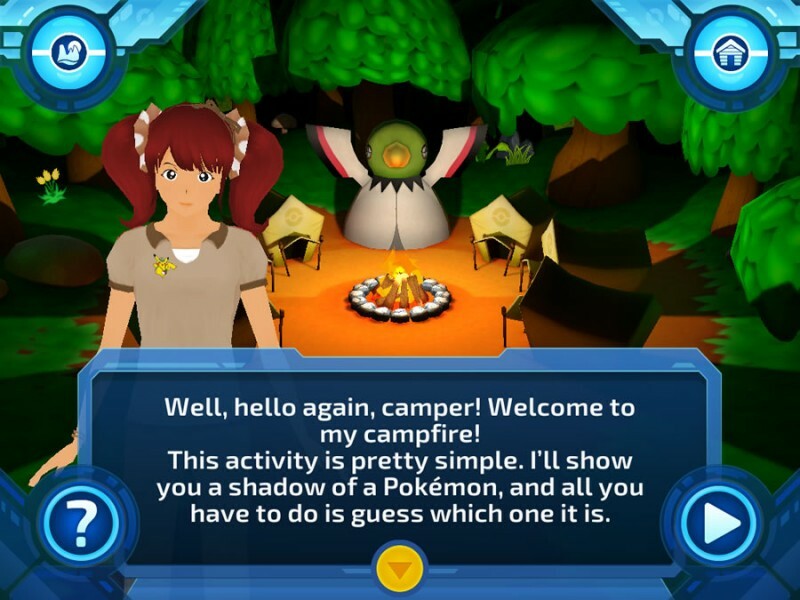 Camp Pokemon is a free Pokemon game on iOS and Android which is designed primarily for tablets but also works on mobile devices. 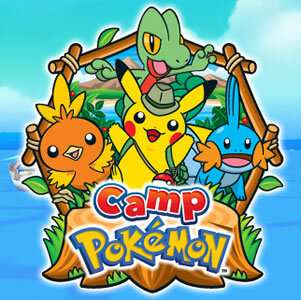 In Europe, Australia and New Zealand it is known as Pokemon Camp. It's quite a nice title to teach aspiring trainers the basics of Pokemon games such as type strengths/weaknesses and evolutions, it also allows the player to watch episodes of the animated series and other videos on Pokemon TV via the app and even gives a basic grounding on the Pokemon Trading Card game and access to play it online. 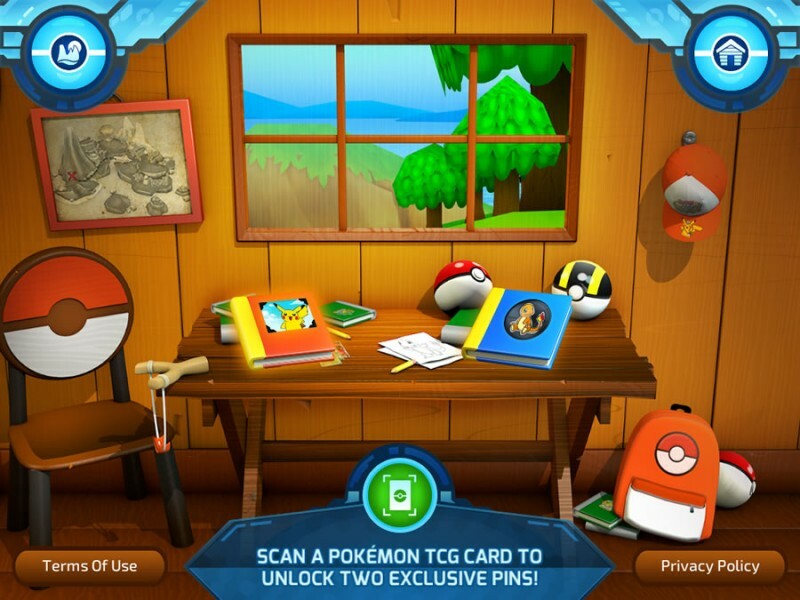 As the player progresses through the game they'll collect pins of different Pokemon, they can return to basecamp at any time to check out these pin's in their pin book which will also give them an idea of how many pins they have left to collect. 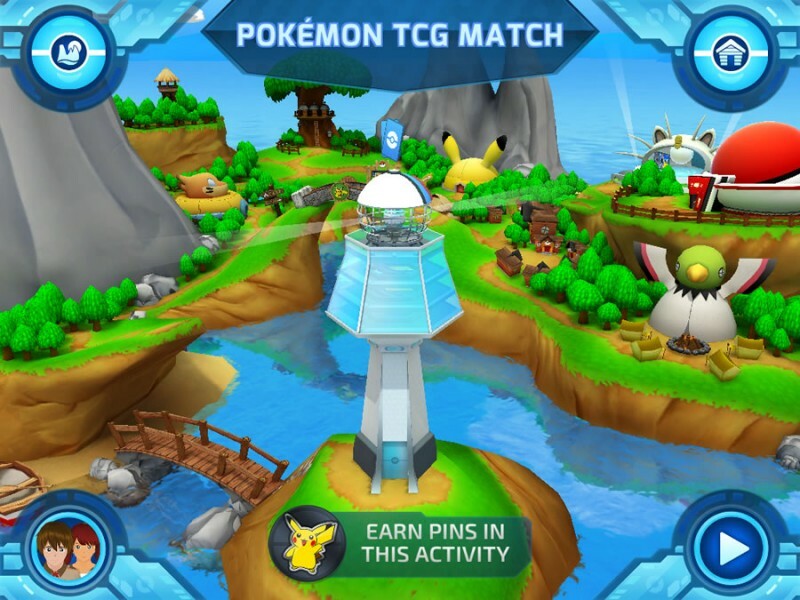 The game consists of four interactive features and six mini games and although it's potentially targetted at a younger audience (6-8 years) with the aim of recruiting new Pokemon fans. Some of the games can be quite fun for adults and experienced trainers too. 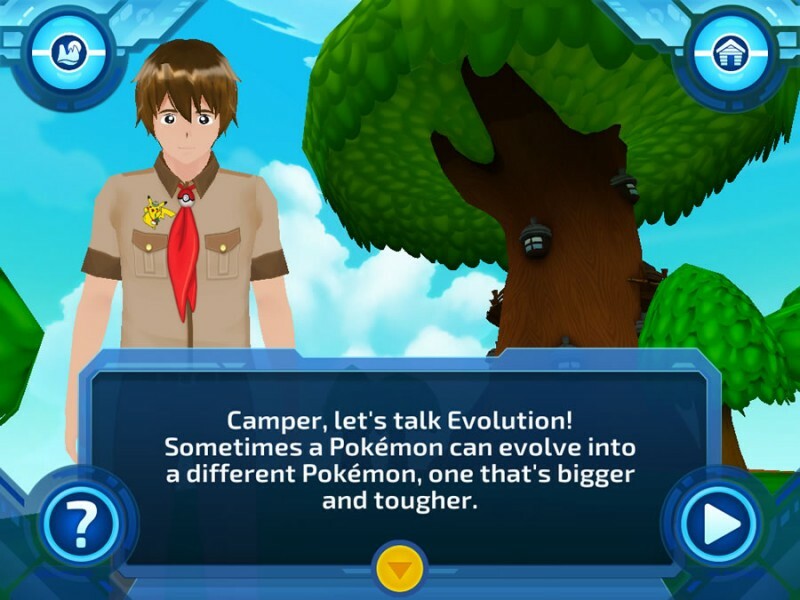 Camp News - An in built news feed giving the latest news on the Pokémon series. This was implemented in the 1.1 release. Mystery Cave - What lurks within the mystery cave? It's rumoured that deep within the caves depths lie legendary Pokemon just waiting to be discovered. 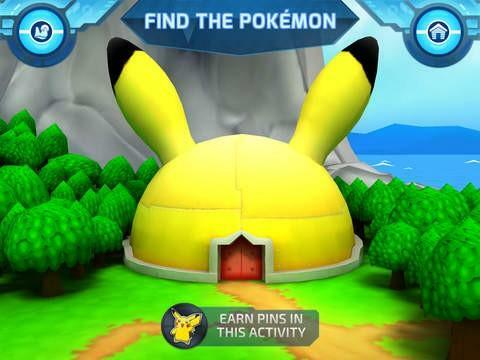 You can gain access to the Mystery Cave by obtaining a full mega evolution chain of Pokemon pins. 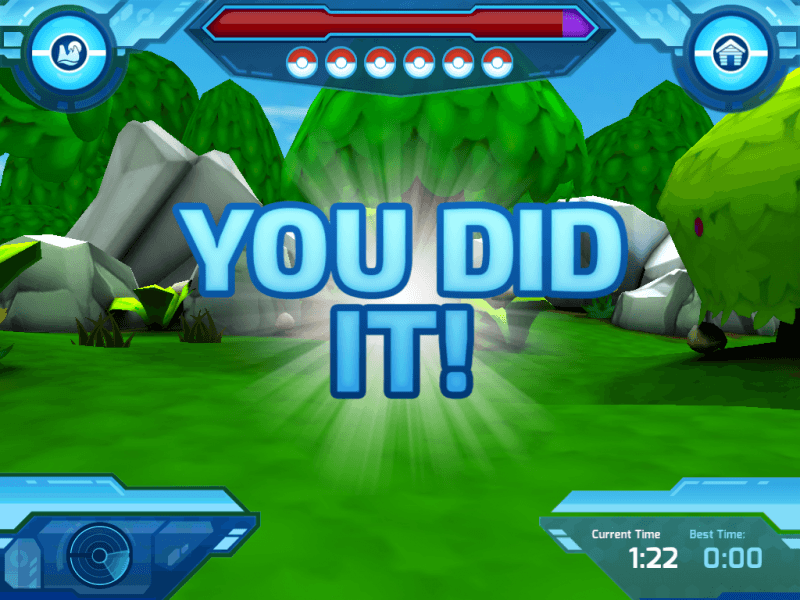 You can then enter the cave and obtain a special version of that chain's mega evolution Pin. The following mega evo's are obtainable in this manner: Mega Venusaur, Mega Blastoise, Mega Gengar, Mega Aggron, Mega Metagross, Mega Sceptile, Mega Swampert and Mega Blaziken. 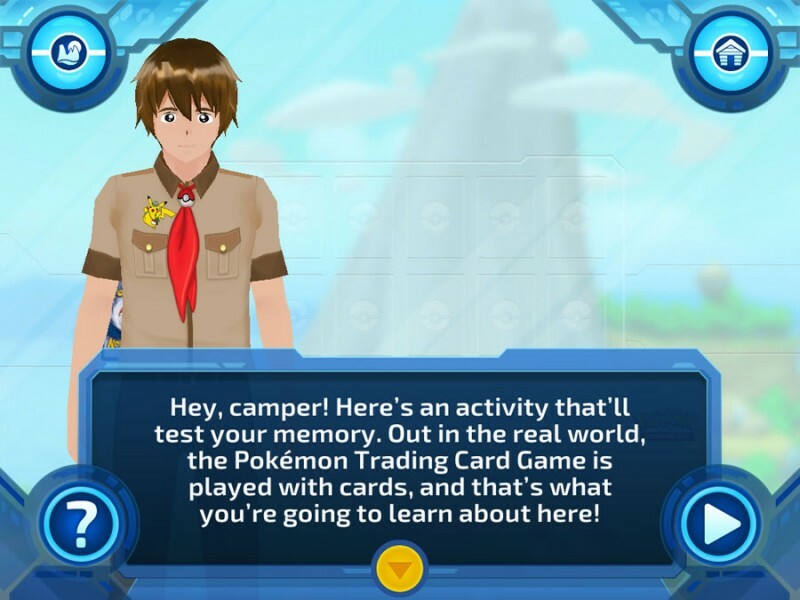 Pokemon Theater - Another nice feature in built into Camp Pokemon to help entice a new generation of Pokemon Fans. This enables the user to watch videos from Pokemon TV within the app. 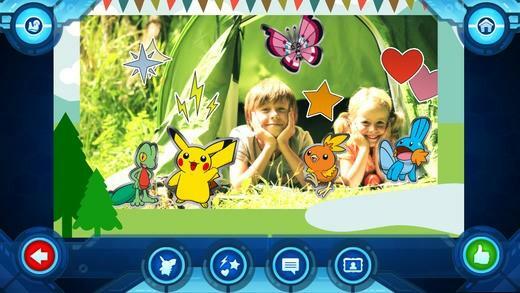 Photo Booth - This feature allows the player to take or import a photo and add borders, Pokemon graphics (such as pins they collected from mini games) and more. The end product can then be saved to the player's Photo Book and/or shared with friends. An example of a photo being edited in photobooth with added pins, effects and border. Aspiring Pokemon Trainers can take on six different mini games and will recieve a Gold, Silver of Bronze medal based on their performance. Often performance is based on how quickly a player completed a stage or how many points they got within a timelimit. There is a rewards system built into the mini games that awards players Pokemon Pins which can be collected and added to their Rewards Book - Gotta collect 'em all, right? These pins are mostly obtained from the Find the Pokemon and Pokeball Throw mini games. 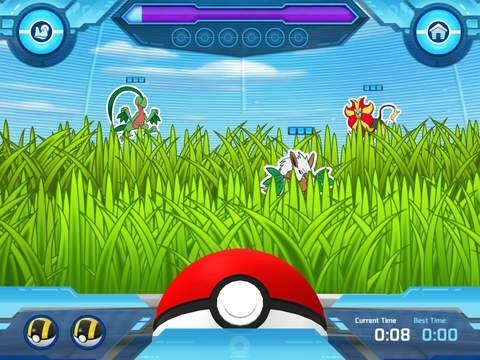 Find the Pokemon - Enter the ARENA! Don't worry, it's not as brutal as it sounds. 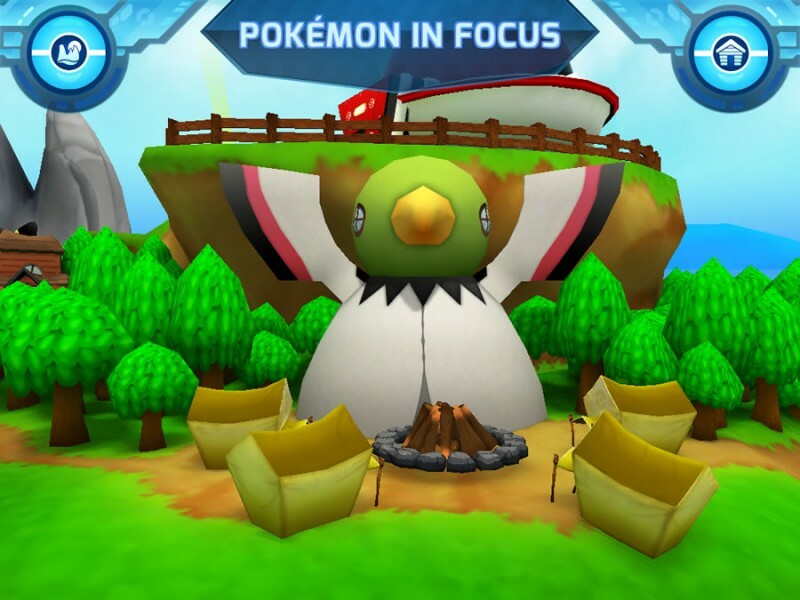 The ARENA or "Alternate Reality Exploration and Name Area" is a virtual zone where aspiring Pokemon Master's have to search for six different wild Pokemon using a magnifying glass to zoom in and identify the Pokemon once you find their silhouettes. The quicker you find all six Pokemon on a stage the better the score you'll get. 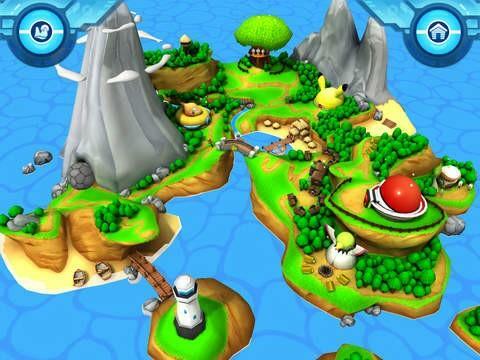 There are three different stages in this mini game: Grass, Water and Rock. Once you get a gold medal you can progress to the next stage. 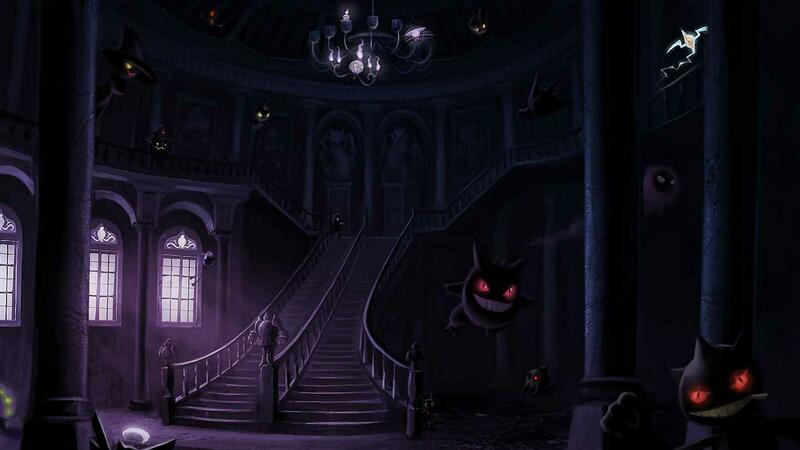 Each stage has it's own Pokemon which are relevant to that environment. Again this mini game features three different stages Grass, Water and Rock. Get the Gold medal to unlock the next stage. Pokemon in Focus - Gather around the Camp Fire it's time for some "whose that Pokemon" esque action! 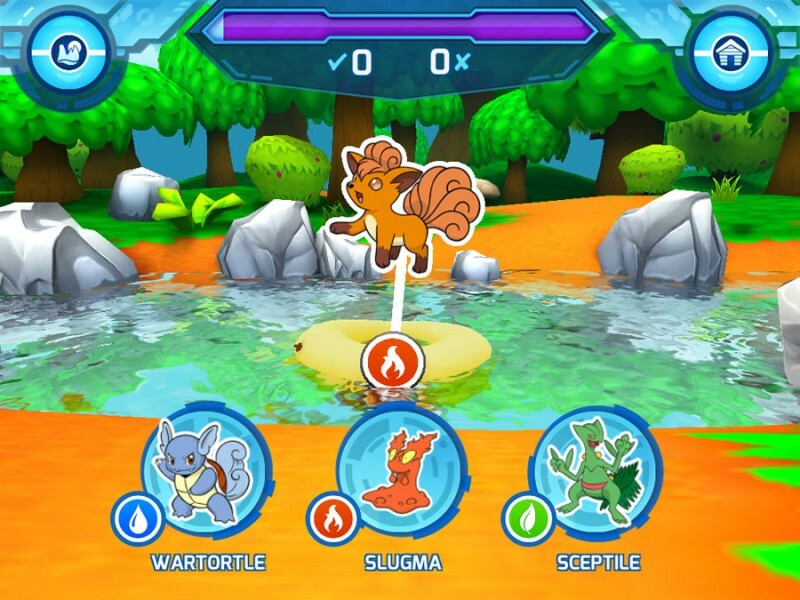 The light of the fire will make the silhouette of a Pokemon in a nearby hut visible, the player then has to select which Pokemon the silhouette belongs to from a selection of three. As the time ticks down the outline of the Pokemon will become more obvious and easier to guess. Get as many correct selections as possible within the time limit! 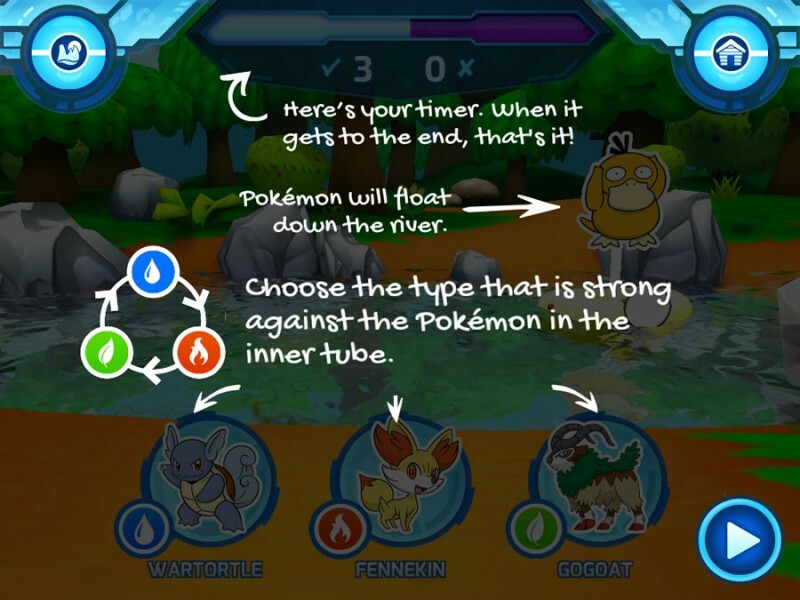 Battle Matchups - A useful training tool for new Pokemon Trainer's aimed at helping them understand which types are good against others (without taking a pasting during the learning process as they would in the core series games). 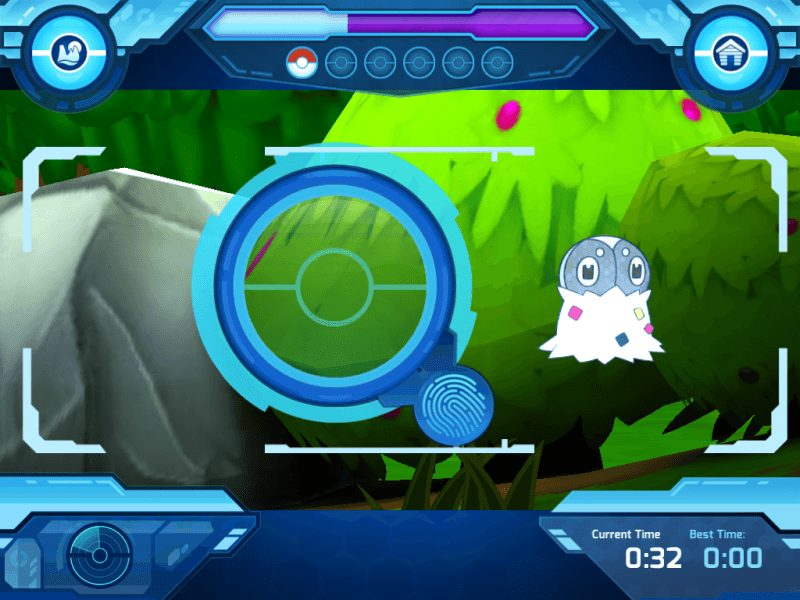 A Pokemon will float along the players screen with an icon showing it's type, the player must then select from three options which type would be strong against the floating mon's type. Again the number of correct answers within the timelimit will decide which medal a player earns. Pokemon TCG Match - A mini game introducing players to the basics of the Pokemon Trading Card game. The first mode is pretty easy, its a memory game. There is a board with lots of different Pokémon cards but only displaying the backs of them you have to select a card then try to find one that matches it from the board. Each time a pair is matched those cards disappear from the board, making it a little easier to match the next ones. Obtain all three energy pins in a stage to unlock the next one. In stage two it gets a little more difficult with the player having to match Pokemon by type instead of simply matching a face card as in round one. The third and final stage has players matching cards with their evolutionary type. 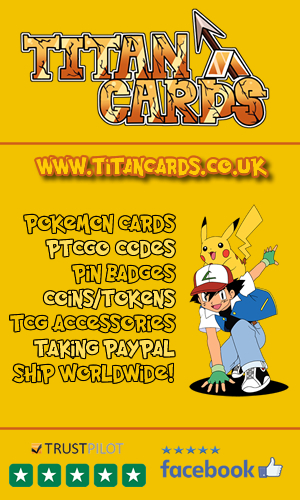 All in all the Pokemon TCG match is a half decent grounding to introduce a beginner to the Pokemon TCG. Once the player has won gold medals on all of the Mini Games and collected all 98 silver and mega pins the Mystery Cave will become accessible one final time. Inside the Cave you can encounter Groudon and Kyogre; after this encounter both of these legendary Pokemon are added to the Pokeball Throw and Find the Pokemon Mini games. These two Pokemon have special pins with golden borders and once you collect them both the player is congratulated and there is a Firework display across the Camp Pokemon Islands. Not feeling up to participating in any activities at the moment? you can return to your Cabin at any time by clicking the button in the top right of the screen. At the Cabin you can kick back, relax and browse your rewards books to check out your progress. One of the books showcases your pin and medal collection whilst the other is a photo album of all the photos you made using the photo booth! When you unlock a Pokemon's pin you can click on their picture in your reward book to find out more information about them. 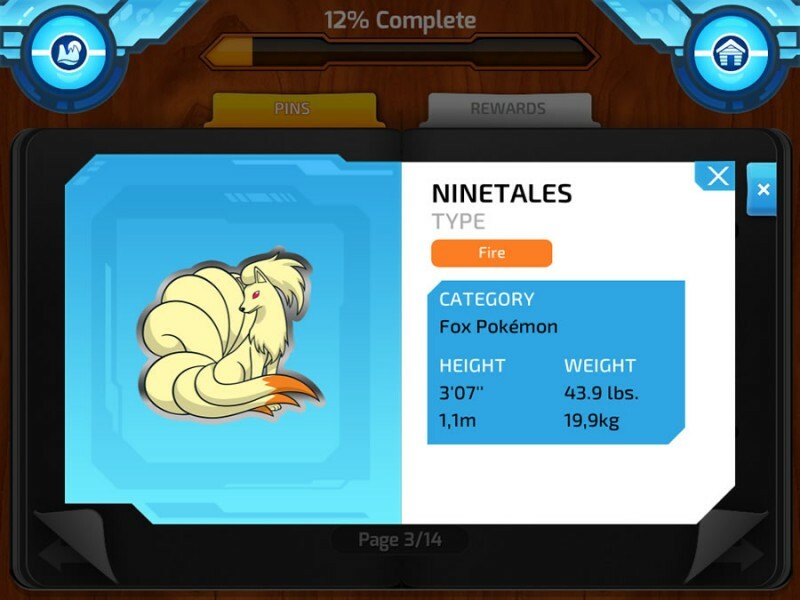 Almost like a basic version of a PokeDex. Welcome to Camp Pokemon! An overview video.